I apologize for the lack of posts lately. It has been a very busy and tiring couple of weeks. To start again with the blog, I want to share a little recipe that I found very useful to cope with all the stress. Just the other day, I had a lot of things to do but I needed to recharge, so I sat at the balcony for a little while. Then while I was contemplating my garden, it hit me, I should make some lemon balm tea. I have mid size lemon balm that keeps growing like crazy and I had never really taken advantage of it. Lemon balm is a great aid to fight stress and relax, it was just perfect. So, I got the scissors and snip some branches and made me some tea. This is one of the reasons I like gardening so much, all the work you put in it always have a nice reward. Those of you who are thinking about starting a garden, take notice. Here is my recipe, hope you enjoy it. You can try making it with just lemon balm, but I enjoy the extra fresh flavor that mint adds to the recipe. First get the water to a boil. Take your sprigs and break and fold them with your hands (no knife), this will help the oils get released. Then toss them in the boiling water for around 10 minutes. The longer you leave them the stronger the flavor will be, but, take care not to leave them to long because lemon balm is sensitive to over boiling, it gets a bitter flavor and loses the lemony scent. While they are boiling the water should will get a yellowish color and the scent will be very noticeable. I like leaving some of the leafs behind, but you can you can strain if you don’t want leafs on your drink. Add as much honey as you want and you are done. Enjoy your hot drink! Now, I grew up in a place where 40 °C is considerate normal, so I tend to prefer cold drinks. If you are like me, just wait a little and add ice. The cold will take away a bit of the flavor, but you can crush the leaves more to get it back. And you are done, enjoy you cold and relaxing drink! 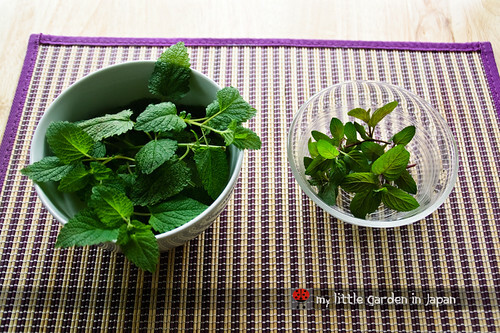 Other thing to remember, Lemon balm is also great to help digestion, and so is mint. So, in case you have upset stomach or you are feeling uneasy at the belly, give this tea a try. I now have another great use for all the lemon balm in my garden. Thanks for sharing your recipe! I am glad you are back to blogging and hopefully a little less stressed! I'm picturing you chilling-out on the balcony with a cup of that lovely tea... Idyllic. Did it genuinely de-stress you? Fer, that sounds like a wonderful remedy to all of the work related stress I've had of late! And..I wasn't sure what to do with the lemon balm I have growing. Viola! Yummy! I have lemon balm growing in a lot of spots in the garden, and I have mint in a strawberry jar. I have never tried combining the two...might have to try some. Thanks for the recipe! I love a mint-tea! It's so refreshing that we can feel vim and vim and vigor. Anyway, a powerful typhoon is coming to our place through this weekend. Get prepared for it, fer! 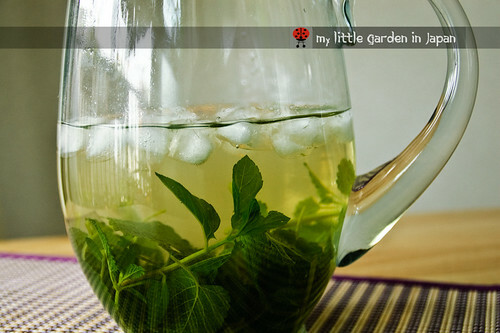 I enjoy lemon balm tea too but never thought to add mint. I am sure to love your version just as much. Thank you very much! 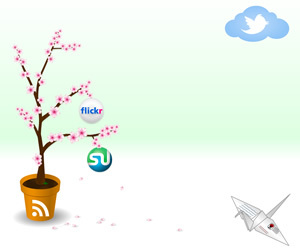 I hope to get back on track with the blog now. Also, glad you find the recipe helpful. Thanks for the tip Fer. I don't have lemon balm but maybe I can make a mint tea and add a dash of local lime juice. I have just planted some lemon balm in the garden so I will bear your recipe in mind. Like the idea of ice too so the tea is suitable for all seasons. I will try that next weekend! Thanks for sharing. Good post! Now i know what to do with my Mint leaves! This sounds lovely and, as I'm getting over a horrible virus, I'm going to potter out into the garden to pick me some lemon balm and mint and make some tea! Fer, Thank You!! This recipe is exactly what I need right now. I just purchased some lemon balm for my garden and had no idea of how I was going to use it. I'm taking a blogging break right now (although I couldn't resist catching up on some reading!) due to work overload so a fresh glass of lemon balm tea will do wonders. Thank you for this recipe. I grew lemon balm for its beauty but wanted to know how to make the tea as well. I will try it today. Thank you for posting this.